I spent yesterday evening as I spend many of my evenings: in the Financial District, at Occupy Wall Street, attending a Direct Action meeting, eating dinner, going to the General Assembly, and going to a POC-DA affinity meeting. As I was standing in the food line, waiting for my portion of beets, greens, cole slaw and bread, the conversation turned to Esther Choi’s article, “Private Danny Chen, and why I will never again reach out to OWS about something that matters to me.” Yesterday when I read this article it nearly made me cry: both because of how right she is, but also because I, somehow, felt personally responsible for the injustices and unjust and oppressive behavior that she had experienced at OWS. As someone who both identifies with the movement and as someone who has worked from the very beginning of my involvement at OWS to confront issues of racism and oppression within OWS, while still standing in solidarity with it, reading Choi’s article I suddenly felt very, very tired, sad, and angry. To be honest, I was angry at both OWS and at her. I think OWS is strong enough and mainstream enough now to withstand serious critiques, and I think whether weak or strong, every movement should be self-critical. I’m tired of hearing that we can’t take on issues of racism and oppression because it would be “divisive.” I’m tired of hearing people call People of Color (POC) Caucus at OWS divisive because we bring up uncomfortable truths. A friend of mine who is visibly Muslim (she wears hijab) said the other day, after recounting an incident where she was told that she had made people in a meeting “more uncomfortable than they had ever been” by telling them that she had been triggered by a racist sign: “If this is the most uncomfortable you have ever been, then please realize how lucky you are.” I laughed and agreed with her, but her comment stuck with me. In fact, this is exactly what some people everywhere, including at OWS, don’t want to have to realize–that they have a certain set of privileges in not feeling uncomfortable and that these privileges impact them and everyone around them. So in these ways I completely understood what Choi meant and why her article feels and is so very viscerally and justly angry. But in other ways I think her article includes troubling oversights. In making sweeping generalizations about the way an entire movement acts in regards to community events based on the actions of three people, in making them typical of an “OWS protester,” Choi does the movement and herself a disservice. Yes, some people act in these ways, I have seen and experienced similar actions. But not everyone does. If we are going to be strong as a movement, then we need to hold those who do act in oppressive and violent ways accountable while not collapsing the whole movement into their actions. To ignore the work of the POC Caucus, the Anti-Racist Allies Group and countless other people within the movement that do crucial work around racial justice issues is to do us all a disservice. It, in effect, actually silences the work of these people and groups in problematic and irresponsible ways. All that said, I think we need to take the space that Choi’s article has opened up to talk about issues of accountability, oppression, racial justice and the way that these issues affect politics of our movement, frankly. That is not to say that people haven’t already been working hard to open up these spaces. They have, and I truly believe that more and more openings for these conversations are being created. The openings for these conversations are being created, for example, through the racial justice training that took the place of Spokes Council a few weeks ago, through a shift in language where we think about how to organize from the margins to the center, through the creation of new affinity groups and accountability structures, through holding each other as a community accountable and having conversations about what this means. 1) The “99%” does not mean that differences do not exist: I love the rhetoric of the 99%, I really, really do. I chant it at marches, I write it in my pieces about OWS. But we need to be aware of the ways that it erases difference by saying that because we are all in the same percentage bracket, we all experience this bracket the same way. This isn’t true. Let’s be careful and understand the 99% as a “complex unity” as Angela Davis so smartly said when she addressed the People’s University. Let’s draw strength from the differences within the 99% while also being explicit that, let’s say, white supremacists might technically be a part of the “99%,” but that they aren’t who we want in our movement nor who we would organize with. 2) We need to have a critique of the language of “Occupy” built into our movement: This has been said, very well, many times so I won’t rehash it. 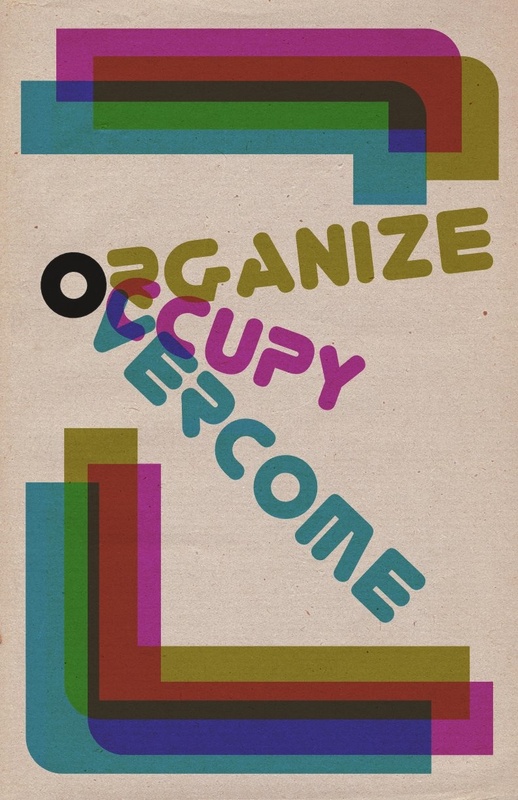 I don’t actually think we need to change the language of “Occupy.” At this point it seems like we have re-claimed the term, and if this is a movement about re-claiming then I think we might count this as one of our successes. But I want to be very careful here: we need to be critical of its use, we need to say both things at once: “De-colonize Wall Street” and also “Occupy Wall Street” and to understand how these things can be understood together. We need to say: “Occupy Wall Street, Unoccupy Iraq”. We can do this, it is possible, but the only way that this can happen is if a critique of the “Occupy” language becomes front and center in our movement (a good piece on this is here and here). 3) Privilege still exists even as people feel their conditions worsening: The Occupy movement has taken hold and sparked the nation’s imagination because so many Americans are currently experiencing the effects of the country’s economic downturn–the effects of years of corporate greed and power in this country. Many of those affected were economically privileged, and have seen this privilege start to disappear. However, they don’t like to hear that they still have a lot of access to other types of privilege, namely white privilege. So, what to do about this disturbing disconnect? People need to understand their privilege as having damaging consequences not just to those who don’t have access to it but also to themselves, simply because oppression anywhere creates oppression everywhere. Until there is first, a recognition that privilege exists and then the recognition that privilege oppresses us all, we won’t be able to move forward (for more on this go here). 4) Capitalism has always relied on racism to exist: If this is a movement about confronting capitalism and creating alternatives to it, which is my understanding of Occupy, then we also need to understand that capitalism relies on racism to perpetrate and reproduce itself; that it has always relied on a racialized division of labor and that we cannot tackle either without taking on both. The capitalist class has historically used racism to divide the working class, so if we are going to survive, we have to work hard, right now, to make sure that this doesn’t happen to us. When racism is thought about in this way, it is everyone’s problem. Everyone is affected by it, not just people of color. I am talking about both interpersonal racism as well as structural racism. In order to be strong, grow and survive, we need to be able to address both these levels of experience and analysis. We need to be both anti-oppressive as well as organize with a racial justice framework, and both must be done simultaneously in order to move forward. The movement I am a part of still inspires me all the time. It inspires me for a range of reasons: because hundreds of people show up and stand in the freezing cold for the General Assembly like they did this past week; because I still have some of the most inspiring and exciting conversations with my friends from OWS; because on New Year’s Eve we re-assembled in Liberty Plaza and danced and hugged and chanted: “Whose year? Our year!”; because we are re-occupying homes in East New York; and because I think we do have the potential to create real change in this country. I am excited for the future of this movement and our communities and I agree with Choi that oppression should always be intolerable, but I also believe that in order to create the spaces that we want to see, we have to work for them. This is constant work, this is work that I do in my personal life and my political life, and I have found true allies within OWS who take on this work with me. Thank you for an engaging and thoughtful response the Choi piece. Reading her piece was truly saddening, but of course you are right that we must use it as an opportunity to deepen the efforts already in place within OWS to confront privilege and make ourselves accountable for our actions.